Are you looking for a new space for creative inspiration? 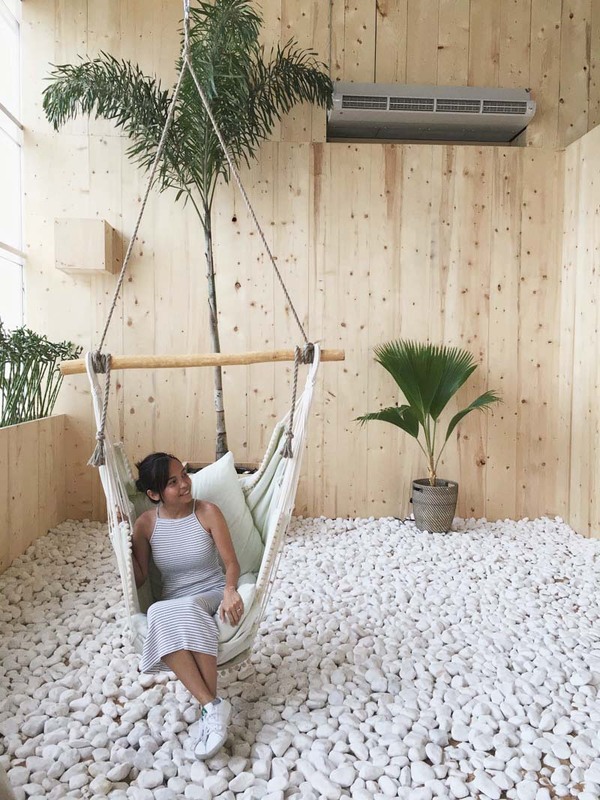 Then I think you should check out the new cultural pop-up in Nadi Al Quoz where you can do work, meetings, meet-ups or just chill-out with healthy food and refreshements from Wild & the Moon. This is one of the reasons why I love Dubai so much. We’ve popped in last week and I was really impressed with the concept. The lovely wood features gives you homely and relaxing atmosphere. The space is located at the Warehouse 90 within Al Serkal Avenue. It’s open seven days a week (10am-7pm). They’re hosting a community programme such as yoga, flower arrangement etc. The Nadi Al Quoz will not be forever. Catch it before 29th October! Such a great place to chill! Ang layo nga lang from our place. Love the new look of your blog, by the way. Nice and neat! Yes ang layo nga lang pero nice area for freelancers 🙂 Thanks Lady! How’s the food? Is it too pricey? Like if its not too much to ask may I know the cheapest?